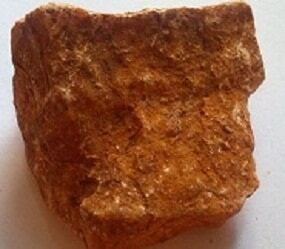 This unique, sacred limestone plays a central role in Mejugorje. They are the main attraction on Apparition Hill where Our Lady appears and because of this, the stones and soil are hand picked and made into beautiful rosaries, peace chaplets and decade bracelets. Andrew has gathered pieces of these sacred stones and has made them available to those unable to make the journey to Medjugorje. Medjugorje is a small mountain town located in western Bosnia and Herzegovina, close to the border of Croatia. Since June 24, 1981, it has become a popular religious pilgrimage due to reports of apparitions of the Blessed Virgin Mary to six local children. This unique, sacred limestone plays a central role in Mejugorje. They are the main attraction on Apparition Hill where Our Lady appears and because of this, the stones and soil are hand picked and made into beautiful rosaries, peace chaplets and decade bracelets. 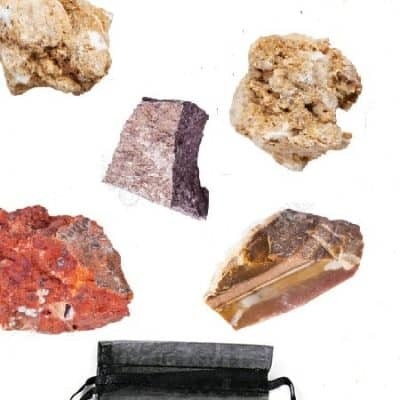 Andrew has gathered pieces of these sacred stones and has made them available to those unable to make the journey to Medjugorje. These healing tools blessed by Our Lady hereself, in the “blessing of the objects” and are all relevant in order to help one bring themselves closer to the wishes of the Blessed Virgin Mary. These Apparition Hill stones measure approximately 2 x 2 inches and no two are the same. 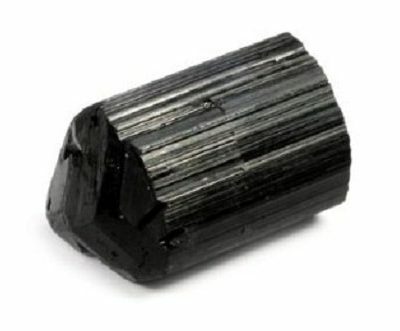 Andrew has a limited amount of these stone, each extremely unique, with their rare red and white coloring. 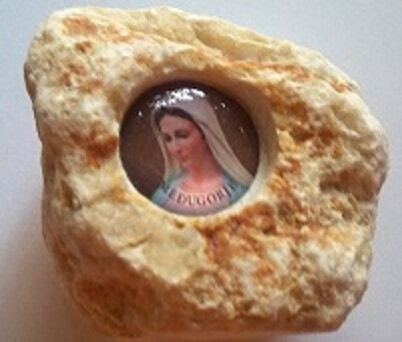 You can choose from either plain stones or stones that have been stamped with the image of the Blessed Virgin. 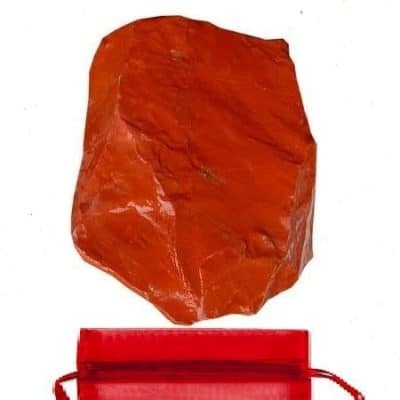 All stones no matter which you choose, come with their metaphysical properties, how to cleanse the stone, ways to work with your stone and a special prayer, including a carry bag.